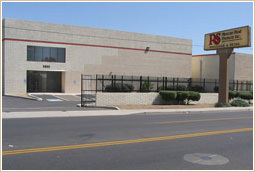 R&S Mexican Food Products, Inc. has served the Restaurant and Food Service trades in Metropolitan Phoenix and its surrounding areas since 1967 with a complete line of made to order Corn and Flour Tortilla Products as well as fresh Produce, Canned Goods, Spices and many other food service items. Founded by Joe Rodriguez and Manuel Sanchez (hence the R&S name), their commitment to authentic corn and flour tortilla taste is still the main mission of R&S Mexican Foods. Because our tortilla products are made fresh when you order them, and delivered to your door six days a week we are able to make nearly all of our 250 tortilla products without chemical preservatives. Along with offering the finest in fresh tortillas and produce, the service you receive from R&S is second to none. Just one call placed before 8:00 PM and your tortillas, made fresh to your order, along with the highest quality, individually inspected, produce, canned goods, spices and paper products will arrive at your restaurant the next day before lunch! Six days a week. There’s no one else in Phoenix who will promise you that. Start by taking a minute to familiarize yourself with the wide variety of products and services we offer by clicking on any of the buttons at the left for more detail. Then place your order using the phone number shown above!